Google Social Search launched over a year ago. It really hasn't caused much of a stir over the year. 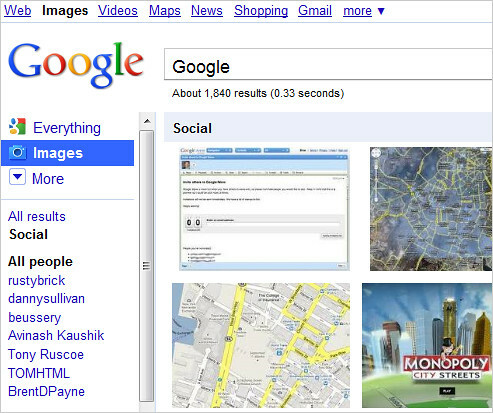 But now there are signs that Google Social Search is being expanded to Google Image Search. As you can see in the left bar, he can limit the search results to specific friends of his in his social circle. I believe this is new for image search.